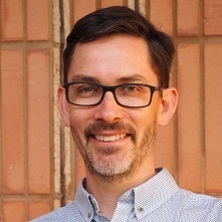 Dr Mitchell Stark is a NHMRC Early Career Research Fellow from the University of Queensland Dermatology Research Centre. Dr Stark has a strong background in melanoma genomics research and has actively been working towards understanding the aetiology of melanoma for >18years; studying gene dysregulation during tumour progression along with predisposition to melanoma in families with high risk for melanoma development. More recently, his research focus involves identifying ‘melanoma-specific’ microRNAs that may be useful for clinical management of disease. In addition to miRNA signatures, one of his ongoing projects is studying the molecular hallmarks of growing and involuting naevi – the key to early detection of primary and invasive melanoma. Identification of clinically useful serum miRNA biomarkers for cancer. The prospective student must be supported with a post-graduate stipend/scholarship. The successful candidate may be eligible for a top-up scholarship.